Here is a beautiful hawk standing guard, photo taken on highway 10 in Caledon near Orangeville, Ontario. Click on the photo above for a larger picture, this hawk was patient enough and stuck around long enough to be captured by my fiance using the Olympus 70-300mm zoom lens. 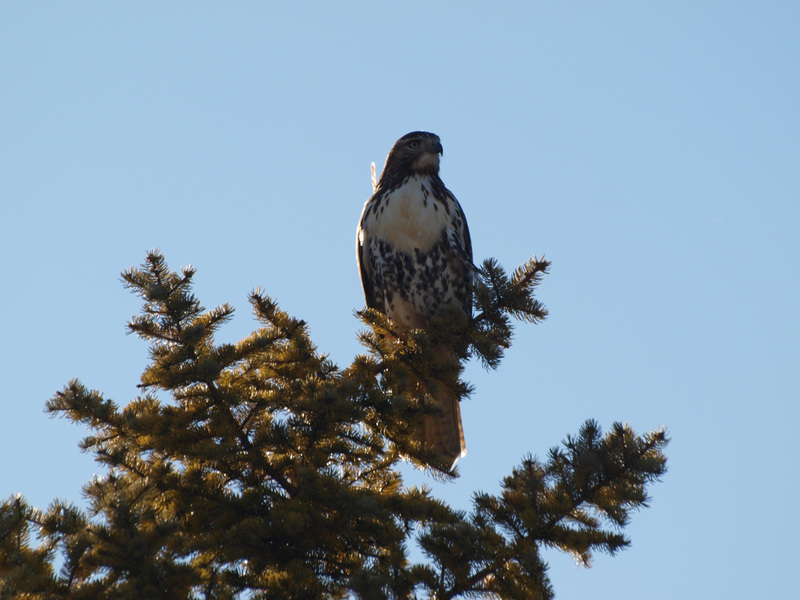 To see some more hawk photos in Caledon click here. Posted: November 13th, 2010 under Caledon, Orangeville, Photos, Wildlife.